VIP Reception 5:30 to 6:30 P.M. If you are a Grassroots Sustainer, the price is reduced to $100.00 per person general admission and $200.00 VIP Admittance. Sandoval County Chair is working to put together a Democratic Party of Sandoval County (DPSC) Table of ten (10) guests. 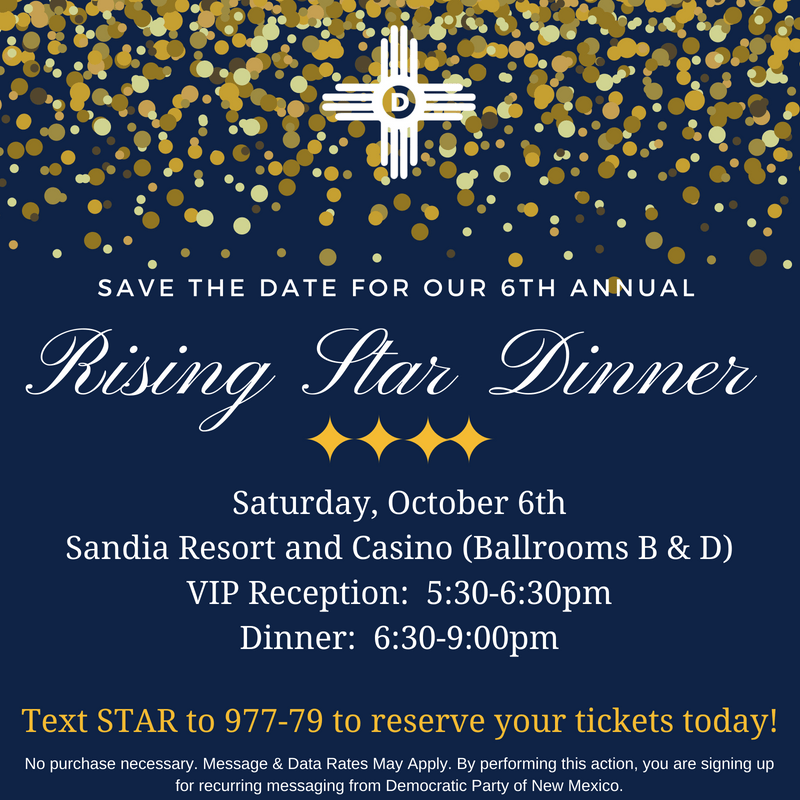 If you are interested in attending as part of the DPSC Table, please contact me at tbuckner21@cableone.net or 505-331-8262.